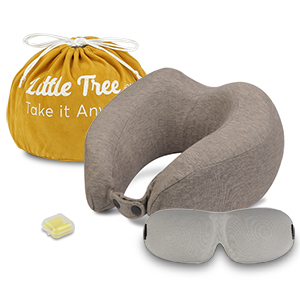 RELIEVES NECK PAIN AND A MIGRAINE HEADACHE - 1Easylife - Little Tree ergonomic contoured memory foam neck pillow is just the right thickness and height to where it supports your neck and head, but is not "clunky" feeling. By giving it a flat back, there is less bulk at the back of your neck so that your head isn't forced to tilt forward. COMFORTABLE COTTON COVER - The cotton cover is skin-friendly and more breathable, so it does not get as hot as fast and is removable for washing. 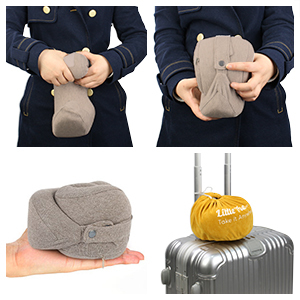 EASY TO CARRY - The snaps on the pillow will make it easier to loop around a bag or carry on. The additional travel bag makes it easy to attach to suitcase as well. 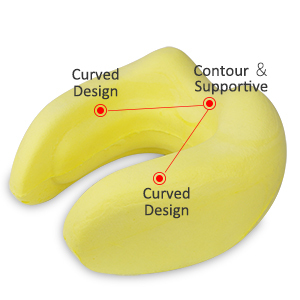 VERSATILE - Our memory foam neck pillow with sleep mask, earplugs and carry bag is the best for long trips on the airplane or in your car and great for working at your computer, camping, lounging on the couch, watching TV and so on. 100% SATISFACTION GUARANTEE - At 1Easylife, we believe in our products and offer a 18-month-warranty plus lifetime warranty. If you are not satisfied with our products, you can return it no-questions-asked for a 100% refund, so order now with confidence!!! It’s so easy to roll the pillow together by the front and back snaps, and we provide you a travel bag to put it in, so you can always carry it and get a comfy sleeping when you have a long travel. 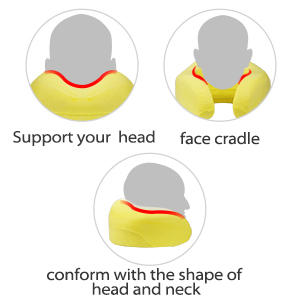 The high-quality memory foam material will always provide your neck and head proper support to relieve neck pain and a migraine headache. 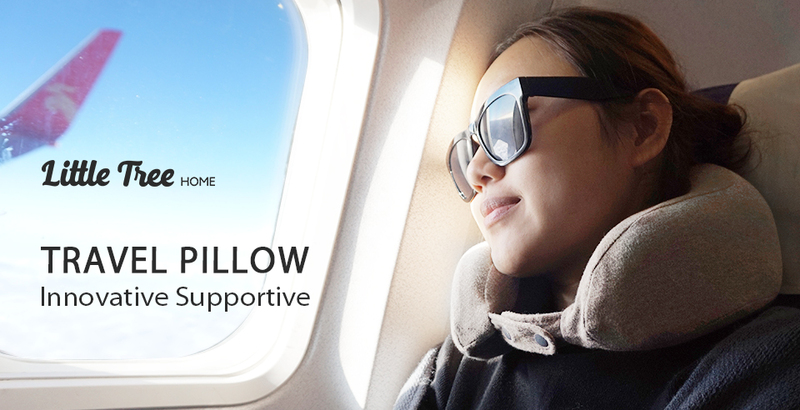 Besides, the contoured design makes the pillow conform with the shape of the head and the neck to give you the best comfortable sleeping position. 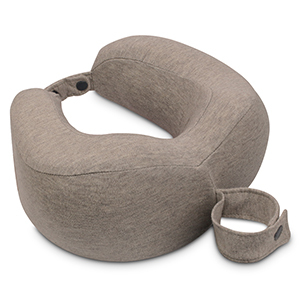 Compared with the heavy neck pillow which usually results in your shoulder and neck pain, our travel neck pillow is lighter, which relives the neck pressure better and is excellent for a long travel. 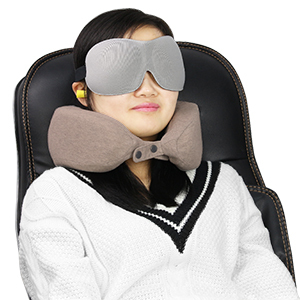 You will get not only a neck pillow, but also a fashion travel bag, earplugs and a 3D eye mask, so you can sleep comfortably when you travel. 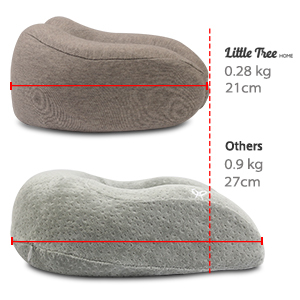 A Better Travel Experience From 1Easylife - Little Tree Memory Foam Neck Pillow. © 2014 1Easylife. All Rights Reserved.